Stained, chipped, or misaligned teeth can detract from your appearance and impact your confidence. Thankfully, there are several effective and convenient cosmetic treatment options available today. At SoCal Smiles Dentistry, we offer beautiful, natural-looking porcelain veneers at our Rancho Santa Margarita, CA, practice to help patients achieve the stunning results they deserve. A veneer is a ceramic shell that completely covers the front surface of a tooth in order to improve its appearance. To find out how porcelain veneers can bring symmetry and balance to your smile, schedule a consultation with Dr. Scott Karafin today. Porcelain veneers have remained a popular and effective cosmetic dental treatment for decades, helping thousands of patients enhance their smiles. Veneers are extremely versatile, and they can be combined with other aesthetic enhancements like bonding or teeth whitening to achieve comprehensive results. Dr. Karafin offers custom veneers made of medical-grade porcelain, which mimics the look and sheen of natural teeth. Each veneer is carefully crafted to help conceal a variety of common imperfections. Both durable and stain-resistant, they can last for several years with proper care. When compared to other cosmetic treatments, veneers can provide significant results in a relatively short amount of time. Even if you only have a single damaged tooth, one skillfully placed porcelain veneer can significantly improve the aesthetics of your smile. 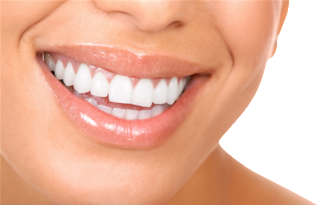 At SoCal Smiles Dentistry, we will review your unique concerns to determine if porcelain veneers are right for you. Receiving porcelain veneers is a multi-step process. During your initial visit, Dr. Karafin will take detailed impressions to evaluate your smile. Once the doctor has identified which teeth to enhance, he will remove a thin layer of enamel (usually no more than a millimeter) from each tooth. This will create the necessary space for your new veneers and ensure their proper alignment with adjacent teeth. After your first appointment, Dr. Karafin will send the impressions to an offsite dental laboratory. Over the course of a few weeks, an expert ceramicist will carefully craft the new veneers according to the unique characteristics of your natural smile. You may be given a temporary restoration while the porcelain veneers are being created. During your final visit, Dr. Karafin will roughen the face of the affected teeth. This will create an ideal surface for bonding the porcelain veneer to your natural enamel. Working one tooth at a time, the doctor will apply special materials and use gentle pressure to set each veneer securely in place. A curing light will quickly harden the bond to complete the process. Lastly, Dr. Karafin will inspect your bite to ensure an optimum fit, making fine adjustments when necessary. At SoCal Smiles Dentistry, Dr. Karafin works closely with each patient to understand their unique needs and expectations. 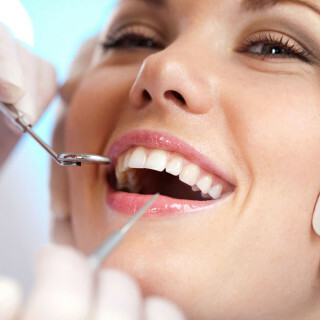 We can review your candidacy for veneers and develop a personalized treatment plan. To learn more about porcelain veneers and their unique advantages, schedule a personal consultation with Dr. Karafin today.